Today, investors are paying increasing attention on how companies are managing digital disruption. After all, no one wants to invest in the next Blockbuster or Kodak. Accordingly, many leading companies like DBS Bank have recognised the importance of adapting to this new Digital Age, or what is known as the Fourth Industrial Revolution. This often entails the transformation into a truly digital-first organisation, where longstanding analogue practices are superseded by digital ones. Against this backdrop, companies that do not have a formal digital transformation strategy in place are being viewed as laggards by the investment community. Just take a look at DBS – its share price has rocketed by more than 50 percent over the past one year, underpinned likely in part by its pivot towards digitisation. The challenge is that digital transformation programmes can be very daunting, even for seasoned business executives. There is a new emerging technology called Robotic Process Automation or RPA that is fast revolutionising the way business as usual is being conducted. RPA involves the use of software robots that mimic tasks usually performed by humans. These robots help to manage and automate a wide range of repetitive, rules-based tasks that require handling high volumes of structured data. Many companies are now viewing RPA as an important pillar in their overall digitisation roadmap. For one, RPA projects are relatively quick to implement, enabling management to secure quick wins, and to obtain further buy-ins from the various stakeholder groups. This tend to be follow-up by the launch of an enterprise-wide automation or robotisation programme. Such programmes enable companies to gain a real competitive edge by lowering operating expenses, improving employee productivity, reducing error rates and increasing speed-to-market. Late last year, UOB announced that they have deployed two robots (called Amy and Eve in case you are wondering) which cut data processing time by over half. Not to be outdone, OCBC has launched their own version which reportedly reduced their housing loan re-pricing processing time by 97 per cent. The Banking, Financial Services and Insurance (BFSI) industry is one early adopter of the technology. But many other industries are fast catching up to this trend, leveraging RPA to operate in a cheaper, faster and better manner. One large hospitality company in Singapore is using RPA to automate the hitherto archaic room reservation process. Software robots are deployed to extract reservation details from online booking platforms such as Expedia, and enter the information into the hotel’s own reservation system. The upshot? Data entry errors are drastically reduced, whilst the front office staff are freed up to focus on tasks that really matters, that is, providing truly exceptional customer service to their esteemed guests. In a sense, RPA seems destined for the Singapore market. After all, labour issues have commonly been cited as the main challenge for businesses in Singapore. The palpable dismay at lack of measures to ease foreign manpower rules in the recent Singapore Budget 2018 encapsulates the current thinking. 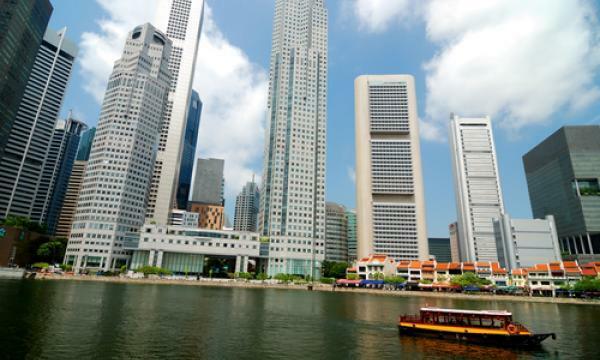 Perhaps the time is ripe for Singapore companies to take the bull by its horn, and address the perennial manpower conundrum in a decisive, yet sustainable manner. Technologies like RPA can help companies transform digitally from being labour-intensive (which investors loathe) to being technology-centric (which investors embrace). And for their employees, less doing (low value add) and more thinking (high value add). In this regard, we can take our cue from our Japanese counterparts. There is now a concerted push in Japan towards RPA driven in part by an ageing population and a declining workforce. There is now sufficient evidence that RPA can give a real boost to your digital transformation efforts, and to your share value. The question is: are you ready to take advantage? Siyong is the Founder and General Manager of CFB Bots Pte Ltd. CFB Bots is a boutique firm focusing on the A 3 technologies – Automation, Analytics and Artificial Intelligence. The company’s mission is to help clients leverage technology successfully to achieve the “triple-win” for its shareholders, employees and customers.